CAPE LOOKOUT – When visitors spend time on North Carolina’s coast, they also spend money. Renting lodging, dining locally, recreating, camping and fishing are among the services tourists pay for to experience the state’s coastline. The local spending creates jobs and economic opportunities directly in the surrounding communities, and indirectly as employees spend their income. National parks and their natural features on the state’s coast are a tourist draw and a significant economic boost, according to a recent report. The report from the National Park Service released in May finds that national parks in the state’s coastal counties have contributed more than $215 million in visitor spending to the state in 2016, supporting more than 3,400 local jobs. The coastal national parks listed include Cape Lookout National Seashore, Cape Hatteras National Seashore, Fort Raleigh National Historic Site, Wright Brothers National Memorial and Moore’s Creek National Battlefield. Also, portions of the Gullah Geechee Cultural Heritage Corridor run through southeast North Carolina, from Wilmington to Jacksonville, Florida, but economic information on the area was not available in the report. 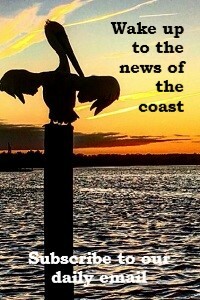 The tourist draw to the coast’s parks are well known. North Carolina’s coastal national parks, primarily the national seashores, provide free access to miles of undeveloped beaches, as well as fishing, recreation and boating opportunities. Visitors can also experience the history of the coast, as the seashores are home to historic dwellings and lighthouses open to the public in summer months. 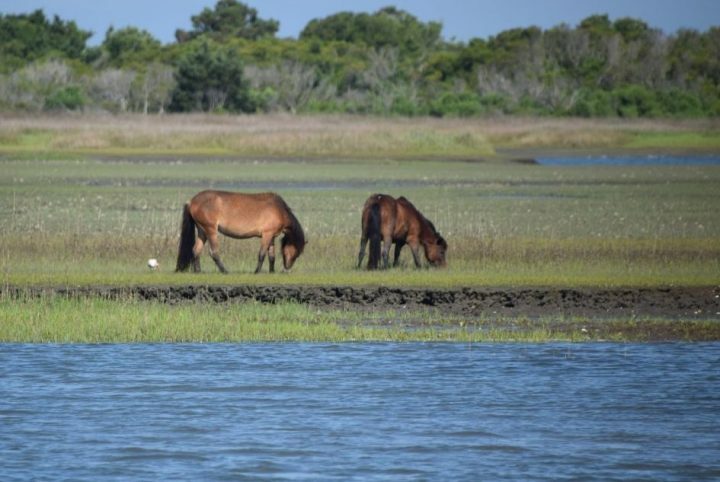 For wildlife enthusiasts, the coastal parks provide views of birds and marine life, as well as wild horses that have roamed the seashores for hundreds of years. The natural beauty of the areas have economic payoffs locally as tourists spend their money on housing, food and recreation, among other items. The peer-reviewed economic report is the work of economists Catherine Cullinane Thomas of the U.S. Geological Survey and Lynne Koontz of the National Park Service. Numbers from the report highlight the link between tourism and the benefit to local economies through tourism expenditures such as housing, food, admissions and fees and souvenirs. The study defines visitor spending as an estimate of the amount of money park visitors spend “within the gateway regions surrounding each NPS site.” Only spending that takes place directly in the cities and towns directly surrounding a park, where visitors typically stay and eat, are calculated into visitor spending. The study also gives insight into what tourists spent their money on locally. Nationally, visitor spending was concentrated most heavily on lodging at about a third of the total. Restaurants were the second-most popular expenditure at the sites, averaging about 27 percent. Other significant local expenditures include gas, recreation industries and admissions. The National Park Service released an interactive tool the public can use to view the economic contributions various national parks have on the economy. The report found that nationally in 2016, visitors spent more than $18 billion within 60 miles of a national park, creating a cumulative effect upwards of $34 billion. North Carolina’s coast is dotted with both state and federal parks. Examples of state parks include Jockey’s Ridge State Park and in the Outer Banks and Fort Macon State Park in Carteret County. The report focuses exclusively on the economic effects of federally run parks. The funding and responsibility of managing the parks and making them available to the public rests in the hands of the National Park Service, but, as the report highlights, they provide jobs and tourism dollars to local economies. The report found that Cape Lookout National Seashore generated more than $20 million in tourism spending in the local area in 2016. 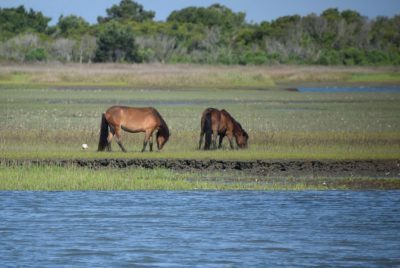 Cape Lookout’s seashore includes a lighthouse, historic dwellings and Shackleford Banks, a popular barrier island that’s home to wild horses. Visitors can reach different parts of the park by ferry or boat. The park’s 458,000 visitors in 2016 supported more than 300 jobs through their spending. In Carteret County, home to Cape Lookout, in 2015, tourists spent about $337 million, the state’s commerce department found. 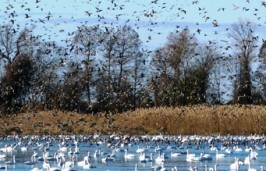 That same year, visitors to Cape Lookout spent $17.7 million in the park’s gateway areas, about 20 percent of the county’s total tourism expenditures. 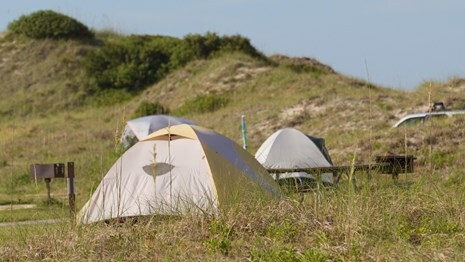 The Outer Banks Group in Dare County encompasses three national parks in the Outer Banks area: Cape Hatteras National Seashore, the Wright Brothers Memorial and Fort Raleigh National Historic Site. Of the three, Cape Hatteras brings in the most money to the local economy. Cape Hatteras National Seashore is a 70-mile long stretch of islands, including Ocracoke and Bodie Islands. In the park, visitors can also find historic buildings, including a life-saving station and lighthouses. The recent report found that 2.4 million visitors spent more than $150 million in 2016 and supported about 2,400 jobs. In 2015, visitor spending in Dare County supported more than 12,000 jobs, according to the commerce department. That year, Cape Hatteras supported about 10 percent of those opportunities. The Wright Brothers National Memorial in Kill Devil Hills is a historic compound with a monument dedicated to Wilbur and Orville Wright, brothers who pioneered powered flights. Fort Raleigh in nearby Manteo protects New World settlements from the 1500s and preserves the legacy of Native Americans and African-Americans from Roanoke Island. 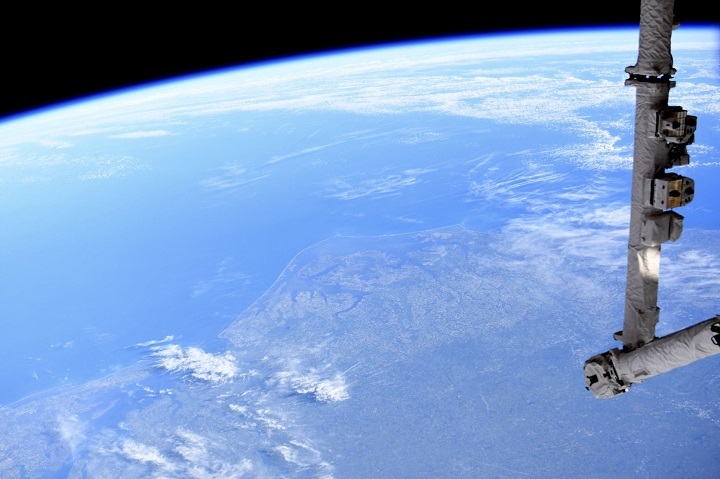 Together, these two sites brought in more than $43 million in visitor spending. Superintendent of Cape Hatteras National Seashore, David Hallac, said the large difference of economic effects between Cape Hatteras and the other two parks is due to the cape’s size and tourist draw. Tourists, he said, come from all over to spend multiple days fishing, camping, exploring and experiencing the cape’s natural beauty. “Folks want to be here because of those resources,” he said. To do so, they spend money renting housing and dining locally over a longer period of time. A study from the commerce department found that those who overnight on trips in North Carolina tend to spend $500 more than day trippers. In 2016, spending in all three sites in the Outer Banks Group supported 3,067 jobs in the local area and had a cumulative benefit to the local economy of $247.6 million. The battlefield marks the first significant victory for patriots during the American Revolution in 1776, and last year’s visitors spend $5 million in surrounding communities, supporting 81 jobs. The park is in Currie in Pender County. The county, which is also home to popular beach towns such as Topsail Beach and Surf City, experienced about $92 million in visitor spending in 2015. Ashita Gona, formerly Coastal Review Online’s assistant editor, is now a freelance writer living in Cary. A graduate of the UNC-Chapel Hill School of Media and Journalism, she spent her time in college focusing on communicating science and environmental issues. She has previously written for Endeavors, UNC-Chapel Hill’s official research magazine, and has interned at a nonprofit communications agency and the White House.